A study conducted by IMRB International across Mumbai, Bangalore, Hyderabad, New Delhi and Kolkata, shows 90 per cent of people perceive homeopathy as a trusted form of treatment and its usage is higher than any other form of treatment. As per the survey conducted amongst the general public, it was found that 100% of people are universally aware about homeopathy and 92% perceive it as ‘reputed’ form of treatment. People use homeopathy mainly for backaches, gastro, skin and hair ailments. Homeopathy is the second largest system of medicine in the world today, according to World Health Organisation (WHO) and is used by over 600 million people worldwide. In India, over 100 million people depend on homeopathy for their health and wellness needs. Homeopathy is practiced in over 80 countries and the global homeopathy market size is Rs. 26,000 crore (ASSOCHAM). France is the leading country where one-third of the French population uses homeopathic drugs. A survey of French pharmacists in 2004 found that 94.5 per cent reported advising pregnant women to use homeopathic medicines. 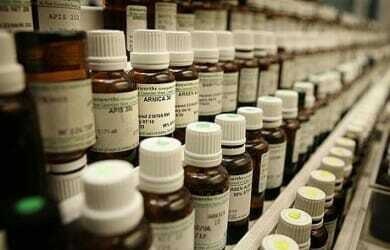 According to ASSOCHAM, the homeopathy market in India is worth Rs. 2758 crore and is growing annually at 30% and as per observers it is expected to grow to Rs. 5873 crore by 2017. Homeopathy users will increase to 160 million (16 crore) in the next 3 years from its current 100 million (10 crore) users. There are 185 homeopathic colleges and 20,000 new homeopaths are added every year.